I’ve done a little beading in the past and have picked a zipper on a skirt and thought it would be a nice touch for a tablet case (click on photos for close-ups). The zipper is hidden. Unfortunately this did not work for a tablet sleeve so I’m going to make a squarish pouch instead, I’d hate to waste that zippered beading! 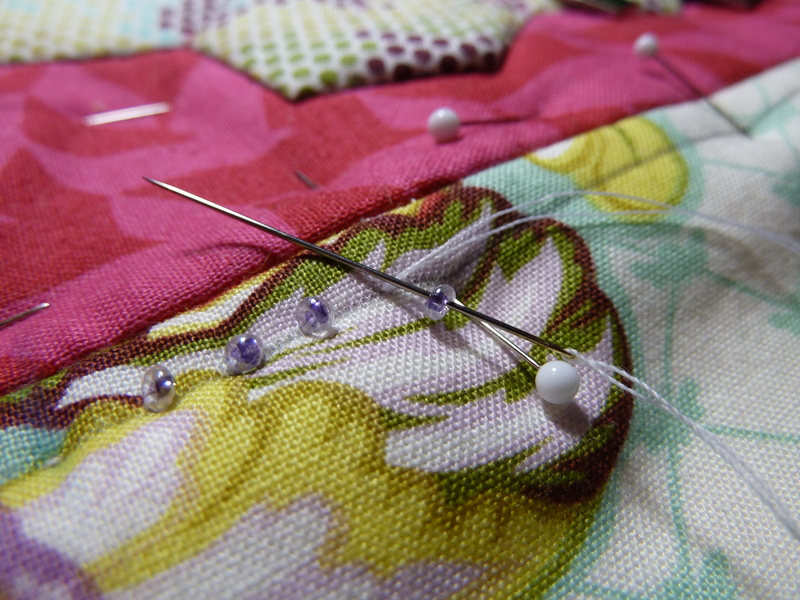 The tutorial for a hand-picked zipper is here, it really isn’t difficult, is just as strong as a machine sewn zipper and soooo much prettier! 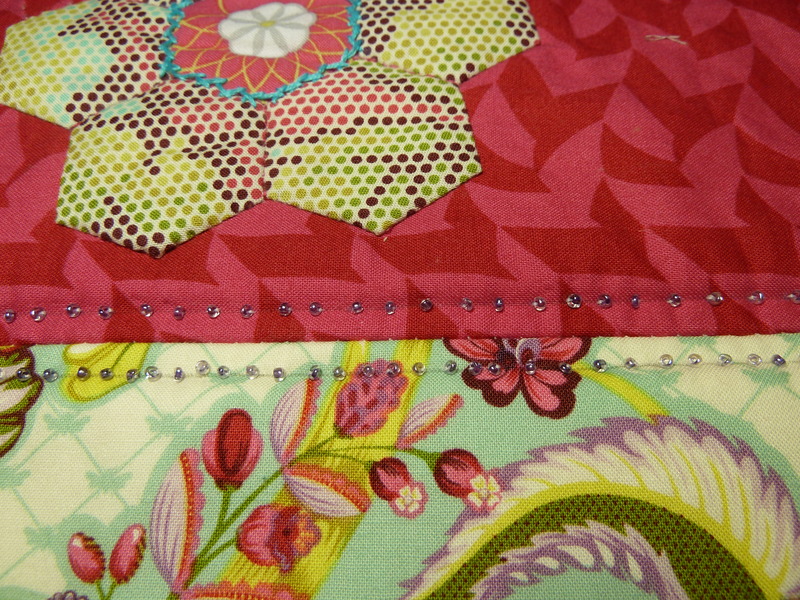 This entry was posted in Hexies and tagged beading, hand-picked zipper, Parisville, Tula Pink by Tabatha. Bookmark the permalink. I love that technique! Great idea! I love the little bit of sparkle it adds and I am all about adding sparkle to your life! Isis, so nice to hear from you again!! Squeee!